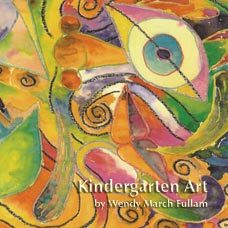 Inherent in the teaching of art are primal instincts to have fun and to create. However, art is as necessary to human development as any elementary, middle / high school or college / university class / course that is offered. The student quickly learns that the art room is a laboratory and invitation to explore and create. It is a safe place where pushing the envelope in creativity is the testing ground for taking art to others and seeking skills needed in life: self-discipline, dignity in work and doing something well, sharing, building trust and ‘self’, promoting curiosity, respect, and ways to make a difference, no matter how small. The student learns that historical and cultural origins of art connect all of humanity to their history and each other. Critical thinking, performance and assessment techniques meet state and national standards. The Batik and Other Resists course addresses the state and national Humanities standards, patterned after the work of the Idaho Department of Education and the talented group of art educators who authored the Humanities Courses of Study. While this course addresses national standards, it is not intended for that purpose only. 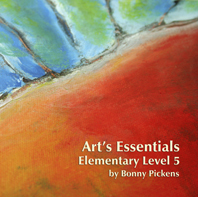 For years art programs, nationwide, have incorporated much of which we call national standards. They were just called something else. Using the structure of the national standards in no way is intended to limit the creativity or potential to go ‘beyond’. As a matter of fact, this course is meant to promote free-thinking, individuality, and creativity, while addressing national guidelines. 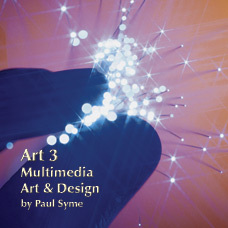 This text can be adapted to courses that are 1, 2, or 3 credits, that meet daily, once or twice a week for a semester, or in a workshop format. 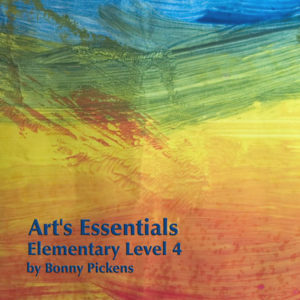 Included are daily and weekly lesson plans that offer classroom-tested teaching strategies, most of which contain a hands-on approach to the teaching of batik. There are a variety of teaching approaches using strategies like cooperative learning groups, subject-area worksheets, and individual student projects, while leaving room for the creative spirit to soar and personal exploration to continue. The course involves active learning through demonstrations and exercises, writing, reading, group activities, research and computer usage, community and volunteer work. Teachers receive a guide, daily/weekly lesson plans, and class notes as both overhead masters and in PowerPoint formats. 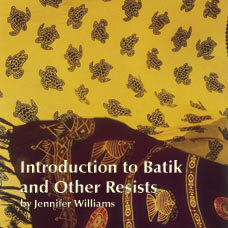 The creative course materials are intended to help and guide the art professor, seasoned or new educator, and student teachers, through the exciting world of batik and its profound historical roots. 291/ISBN: 978-1-59657-861-6, 291/ISBN: 978-1-59657-386-4, Class Set download files: 978-1-59657-862-3, 109/ISBN: 978-1-59657-527-1, 109/ISBN: 1-59657-387-1, No page count.No ISBN number. Use product code.